Raise your hand if you genuinely enjoy opening acts. Yeah, that's what I thought. I'm sorry but when I pay $50+ to watch my favorite band/artist perform, I don't appreciate having to wait close to two hours on my feet. When a ticket says "show at 7," I expect to see the band/artist I paid for at 7--give or take a half an hour. That being said, some openers are an exception to my complaint. If the act is relevant, lasts somewhere between four and six songs and is actually good--I've had my share of screams coupled with instruments pretending to be music--then I'm ok with it. For example, yesterday at the Mumford & Sons concert, there were two opening acts. Mistake number one: two opening acts are not ok. If I want to see an array of bands then I'll go to a music festival. But let's put that aside for a second and analyze the acts separately. The first opener, Ben Howard, was good. He has a soft and enjoyable voice that I would guess appeals to the Mumford crowd. And his set lasted about twenty minutes, so it was a great introduction to the main act. But the second act, The Felice Brothers, was long and somewhat irritating. There were three things that bothered me the most. First of all, if you're going to open for a band like Mumford, do not come out drunk and high, it makes you sound terrible. Also, please do not play songs that seem to be improvised--or if you do, make sure it works. Finally, if you're playing right before Mumford, do not play for more than 45 minutes! Ok, I'm done venting. Now let me just say that the actual concert was amazing! Mumford & Sons is all I could think about today. If you ever have a chance to attend their concert, go! Anyways, tonight I made quinoa burgers. In all honesty, I had no idea what to expect, but turns out, they were quite tasty. If you have them in pita bread, just make sure you warm it up before serving. Enjoy! Active time: 35 minutes. Total time: 40 minutes. In a small saucepan, bring 3/4 cup water to a boil. Add quinoa and lower heat; cover and cook until liquid is absorbed, about 12 minutes. In a food processos, pulse carrot until finely chopped. 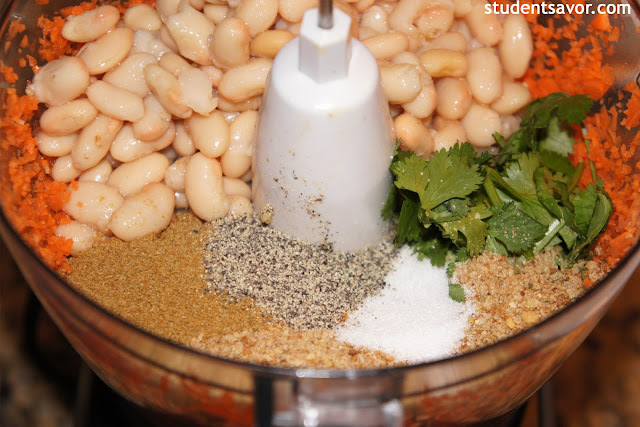 Add quinoa, half the cilantro leaves, beans, breadcrumbs, egg, cumin, 1 teaspoon salt and 1/2 teaspoon pepper. Pulse mixture until combined but slightly chunky. Place in the refrigerator and chill for 10 minutes. Form mixture into four 3/4-inch-thick patties. In a large skillet, heat olive oil over medium heat. Cook burgers until browned and cooked through, about 8 minutes on each side. Meanwhile, in a small bowl, combine yogurt, lemon juice and remaining cilantro; season with salt and pepper. 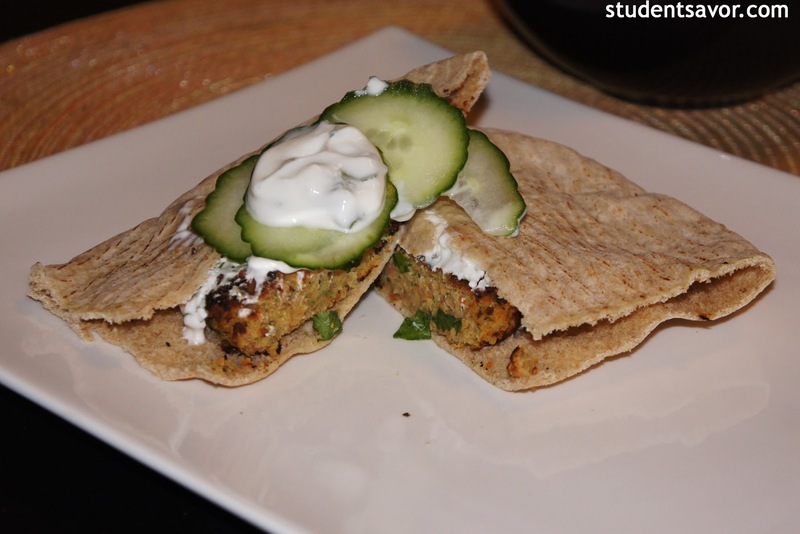 Place pita bread in a convection oven set to 300F and warm up, about 5 minutes. 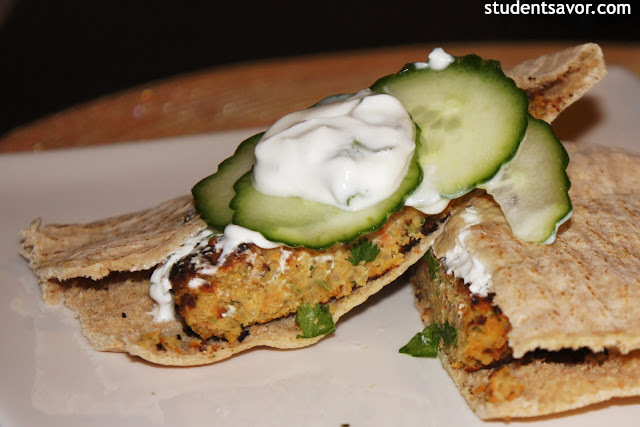 Serve burgers in pita topped with cucumber and yogurt sauce.